The Coupling/Decoupling Network (CDN) facilitates the testing of EMC immunity by coupling RF directly to or from cables connected to the equipment under test. This technique is the preferred method for immunity testing according to IEC61000-4-6. CDNs can also be used for pre-compliant emissions measurements according to EN55022. Enhanced models feature feedback output. Calibrated to the RF level applied to the cable. Includes detector to provide DC level. Removes uncertainty due to unknown EUT cable impedance. Ensures accurate control of stress level. 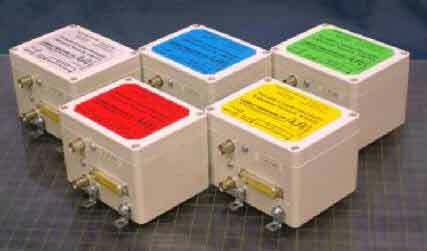 Eliminates requirement for the 6dB attenuator in the RF feed. All include matching cables and adaptors. Reduce equipment costs and maximise flexibility due to the ‘Versatile’ benefits of the range. Just 5 models cover over 23 different cable types. 2 pair RJ11 cable STP and UTP 4 pair. up to 16A IEC/UK13A cable set. For on-site calibration of x46xx VCDN and 22L test adaptor. Connects directly to the CDN EUT and AE ports. Fitted with BNC or N type RF sockets (specify with order). many different cable types can be accommodated with one CDN. Each model is shipped complete with an appropriate set of adaptors and cables. 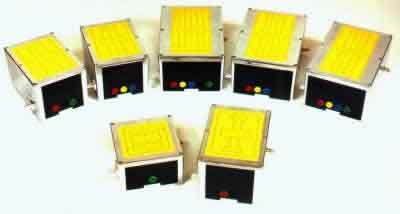 Calibration adaptors and modular ground plane sets also available. Frequency range 150 KHz to 80 MHz.